APSF Newsletter, the APSF booth at the annual ASA and IARS meetings, reports and summaries of special safety symposia, and the ever-expanding APSF website (www.apsf.org). 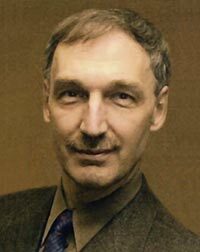 Most recently, the APSF has linked with Anesthesia & Analgesia as the organization’s new scientific journal, and a new section editor for Patient Safety, Dr. Sorin J. Brull, will work closely with its editor-in-chief. Our target audience includes clinical anesthesia providers, students of anesthesiology, anesthesiology and safety scientists, anesthesiologist assistants and OR technicians, acute care pharmacists, and corporate vendors who provide us with reliable medical monitors, anesthesia machines, and novel pharmaceutical agents. In addition, our topics and discussions are frequently relevant to the nation’s risk managers, society officers such as the Board of Governors of the American College of Surgeons, the liability insurance industry, the Joint Commission, the FDA, and congressional staffers responsible for health care information. The past, present, and future contributions of the Committee are highlighted below. The improvements in patient safety have been the result of the sustained focus of APSF leaders and committee members on the science of safety in medicine. Today, anesthesia providers are highly-trained, tested, certified and, increasingly, recertified to standards that include safety practice guidelines. We enjoy record numbers of highly-trained, skilled, and certified physicians, nurse anesthetists, and anesthesiologist assistants working today in the United States. In the last 3 decades, the combined efforts of these skilled providers, along with the tireless energies of APSF members, have resulted in a decline in anesthesia-related deaths from 1 in 15,000 anesthetics to 1 in 250,000 today. With healthy patients, the risk is even lower—a rate of “defects” that approaches Six Sigma levels of reliability. The ASA has produced a series of patient safety videotapes, at a cost of $50,000 per topic, for use in anesthesiology residency and SRNA training programs. The videotapes are also a rich source of institutional and departmental continuing education programs. A total of more than 30 videotapes have been produced and distributed on various topics, including: Difficult Airway, Central Venous Catheters, Infection Control, Crisis Management, Fatigue: Implications for the Anesthesiologist, Production Pressure in Anesthesiology, Medication Errors, and Pediatric Safety. While this medium is now dated, the contribution of this series to education and training is immeasurable. This is a multimedia format that highlighted components of the anesthesia machine, and how to avoid machine related mishaps. A visual and PowerPoint presentation. Newsletter after the meeting. The 10-year history of awards is summarized in the table on page 4. We hope to see you compete for this prestigious award in San Francisco this coming year! areas of . . . educational content . . . which include new clinical methods for prevention and/or early diagnosis of mishaps; evaluation of new and/or re-evaluation of old technologies for prevention and diagnosis of mishaps; identification of predictors of patients and anesthetists at increased risk for mishaps; development of innovative methods for the study of low-frequency events; methods for measurement of cost effectiveness of techniques designed to increase patient safety; innovative methods of education and training to improve safety; specific or thematic development of educational content or methods with application to patient safety; and development or testing of educational content to measure and improve safe delivery of perioperative anesthetic care. Development, implementation, and validation of educational content or methods of relevance to patient safety. What Are the Current Concerns of Anesthesia Providers? Parents’ presence during pediatric anesthesia induction? Other, yet to be determined safety issues! http://vam.anest.ufl.edu/wip.html includes a free 60-page APSF anesthesia machine workbook that provides structured learning exercises for self-paced learning and the APSF simulation of the 1993 FDA anesthesia machine pre-use checklist. In a study with premed students, transparent reality simulation (where the inner processes of a system are made visible, e.g., gas flow) provided better 24-hour knowledge retention on 3 of 5 objective measures of learning. The vision of the Anesthesia Patient Safety Foundation is to ensure that no patient shall be harmed by anesthesia. www.apsf.org monthly and register your opinion! This new survey instrument focuses on relevant, timely, “hot” topics, with the immediate availability of results to the participant. The Education Committee plans to organize new questions to be highlighted on a systematic as well as ad hoc basis. We encourage you to visit, vote, and get your voice heard! Participating in and promoting of safety research. Please join us and participate in any the above forums. We are committed to build upon the legacy of the first 20 years of APSF success! Dr. Prielipp is J.J. Buckley Professor and Chair of Anesthesiology at the University of Minnesota, Minneapolis, MN, and Chair of the APSF Committee on Education and Training.